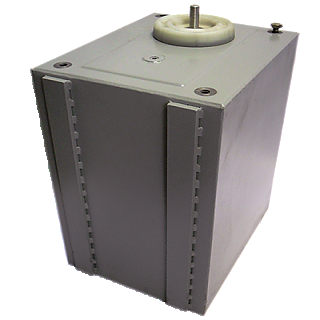 API Capacitors design and manufacture energy storage capacitors that are not limited to a catalogue range. Current, voltage, size, mass and terminations are matched to the customer’s requirement and application, a few of which are listed below. Shot life and high reliability is achieved using ultra low defect density, high isotactic, metallised polypropylene dielectric film incorporating an extended working temperature range and controlled self-healing capability. Elements are wound on the latest precision edge controlled automatic winding machines. High conductivity copper is used for low resistance internal connections. Used in Military, Medical and Industrial applications.